These earrings are made of solid 14k gold and the finest quality cubic zirconia stones. Our cubic zirconia is bright and clear with an unmatched sparkle, so it will easily convince others it's the real thing. The diameter of the pearl is 6mm (0.24 in), the total length of the earrings is 44mm (1.73 in), the weight is 1.7g. 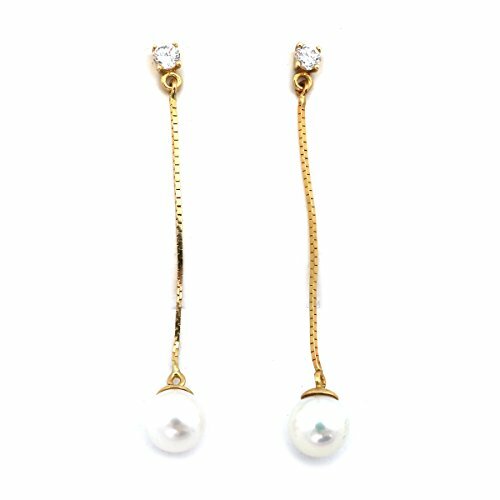 These earrings are made of solid 14k gold and the finest quality cubic zirconia stones.